2 hrs, 20 mins with 1 intermission. Audiences and critics alike are rediscovering this beloved musical with breathtaking music, including one of the most treasured songs in musical theater—”Memory”. 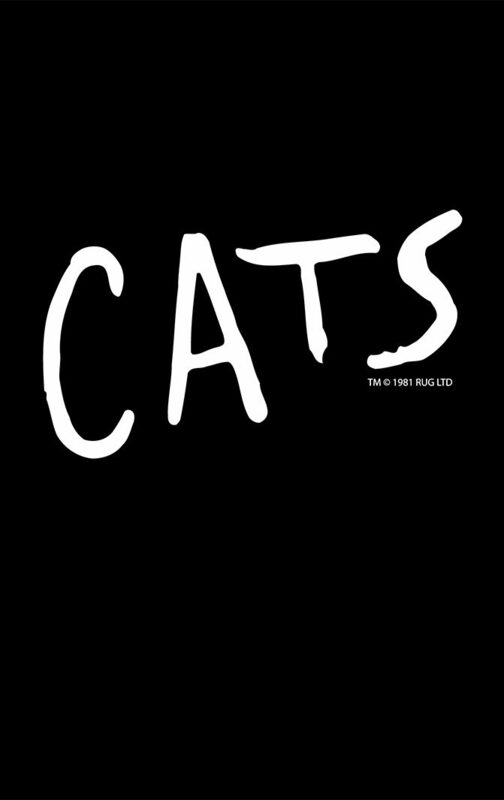 Winner of 7 Tony Awards® including BEST MUSICAL, CATS tells the story of one magical night when an extraordinary tribe of cats gathers for its annual ball to rejoice and decide which cat will be reborn. The original score by Andrew Lloyd Webber (The Phantom of the Opera, School of Rock, Sunset Boulevard), original scenic and costume design by John Napier (Les Misérables), all-new lighting design by Natasha Katz (Aladdin), all-new sound design by Mick Potter, new choreography by Andy Blankenbuehler (Hamilton) based on the original choreography by Gillian Lynne (Phantom) and direction by Trevor Nunn (Les Misérables) make this production a new CATS for a new generation! SEE IT FOR THE FIRST OR SECOND OR THIRD TIME!